If I’m not back in five minutes… just wait longer! It may surprise you to learn that Docker is actually quite old now (at least in Startup terms! ), having released the first version of their very cool software in March 2013! ug releases, with an average of a point release about every quarter and minor releases every month (or more)! Whilst sitting here awaiting my flight to VMworld Europe 2017, where there are MANY MANY MANY (MANY!) sessions on Docker, Photon, Kubernetes, etc on the session schedule, I am prompted to consider Docker’s rise to popularity, and finish off a post I begun a few months back after Tech Field Day 12! Well come on Galbraith… get on with it then! My experience in UK IT industry over the last (nearly) 15 years has taught me a few things, one of which is that whenever new technologies begin serious adoption in the US, it usually becomes popular in the UK within 2-3 years. That said, this number has been squeezed down a little in the past few years as companies move towards more agile development and deployment methods. Fail fast is becoming the mantra of many more organisations, though some people I speak to still wake up with night sweats at even the thought! The first time a customer asked me about Docker in the UK was over 3 years ago, yet in all that time, people I talk to outside of the social media bubble many of us live in have been virtually silent about it; that is until now. 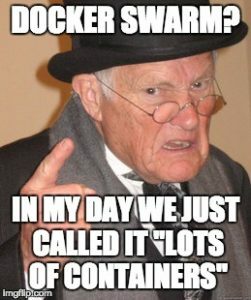 Docker is becoming a weekly conversation topic now with a lot of organisations I talk to, with a many people wanting to jump on board the band wagon. 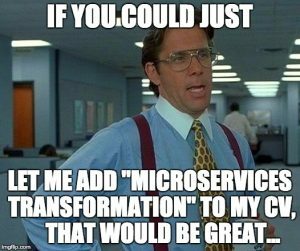 The switch from an operating system-centric view of the world, to a more application and service-oriented (or should that be microservice-oriented) view of the world is becoming far more prevalent in my experience. I think this is probably the number one driver to Docker adoption for people I talk to. Automation of CI/CD pipelines has become so common now, it is almost becoming the norm. Yes, it is tricky to do this with more traditional applications, but it certainly isn’t impossible. Using containers as the delivery mechanism for your application provides very consistent and repeatable outcomes. I mean, you can even get Oracle DB in a container now?!?! That said, once you dockerise your applications there are many further challenges you will run into, including something as simple as how to apply your current security tooling, policies and proceedures to these new environments. The Docker code base and third party ecosystem has finally reached a point of maturity where many of the networking and storage issues of the past are beginning to reduce to within acceptable risk boundaries. Following this maturity model, a swathe of vendors have put their names behind the Docker ecosystem; from VMware to Openstack, AWS to Azure, Google to Cloud Foundary, everyone is getting on board! You no longer have to buy support direct from Docker (the company), but can instead get it from your cloud vendor, along with a managed orchestration tier too, such as Docker Swarm, Kubernetes or Mesos! Yes, you can Dockers your existing applications for use on premises, but many organisations I speak to are using Docker as a method to allow their developers to write code on premises, test in their dev environments on prom or in the cloud, then deploy in a consistent fashion to their brand spanking new Production cloud platforms. PaaS solutions such as Azure WebApps and AWS Elastic Beanstalk are becoming a good option for customers who just want to write code, but for those who want that little bit more control, Docker gives them flexibility and consistency. I hate to play the cynic, but I think there is definitely a significant percentage of CIOs/CTOs who are doing “digital transformations through containerisation and cloud” specifically to pad out their CVs and help them get a better gig. This is otherwise known as a “Resume-driven IT Strategy”! 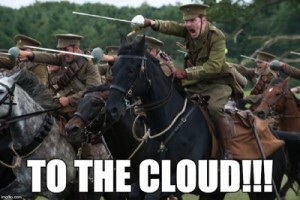 I am aware of one CIO who deliberately went to a cloud platform, even though it was significantly more expensive than a traditional managed hosting solution of a similar spec, when their business case and steady workload drew few, if any discernible benefits from the use of cloud. When I hear people refer to technologies such as VMware vSphere as “Legacy” it really drives home to me the shift we are all going through, yet again, in the industry. This is another reason though which CIOs/CTOs/Heads of IT tell me they want cloud and containers. That said, I still struggle to find a single person who doesn’t have at least one physical server in their infrastructure, so just like the mainframe before it, I don’t think the hypervisor is going away any time yet! I was fortunate enough to meet with the product team from Docker at Tech Field Day 12 towards the end of last year. It was a really interesting session which covered many of the enterprise networking and security features recently introduced to the platform, along with Docker’s new support offerings. I highly recommend checking it out! Jon Hildebrand – Docker? On Windows? Yep! Disclaimer/Disclosure: My flights, accommodation, meals, etc, at Tech Field Day 12 were provided by Tech Field Day / Gestalt IT, but there was no expectation or request for me to write about any of the vendors products or services and I was not compensated in any way for my time at the event.